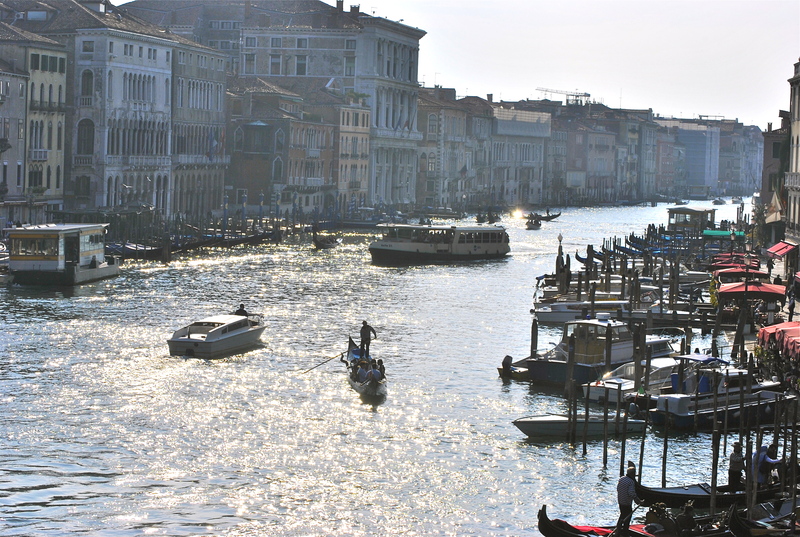 Venezia is a magical place and one that is close to my heart. My parents spent their honeymoon in Venezia, which is about an hour and a half from where they were living in Monfalcone. Mark proposed to me at the Rialto market. 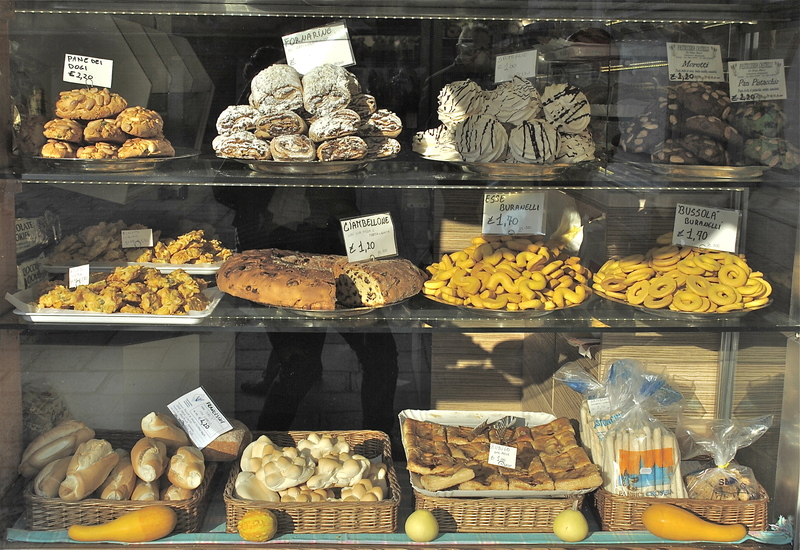 Venezia is also the home of delightful biscotti with names like bussola, pane dei dogi and zaleti that are made especially for Carnevale (Carnival held each year in February) but are found all year round. My favourite Venetian biscotti to make at home are zaleti, which are yellow because they are made with yellow polenta. The word giallo means yellow in Italian and in Venetian dialect the word is zalo. Hence zaleti (or even zaeti – you leave out the L) are little yellow biscuits. These biscuits are sweet, buttery with a hint of lemon and have a lovely texture due to the contrast of the polenta and the soft sultanas. I add orange zest to mine as well as the traditional lemon – the zesty orange complements the other flavours beautifully. They are very simple to make – you mix the ingredients with a wooden spoon or even with your hands. I like them dunked in coffee or tea or even with a glass sweet Vin santo (holy wine). Eating them reminds me of being in La Serenissima, a few hours before the Prosecco hour when it is time for a glass of Prosecco and cichetti (appetisers). Or you could start the Prosecco hour a bit earlier have it with the zaleti! Place the polenta, flour and sugar in a bowl. Combine then add the zests. Melt the butter in a small saucepan and add this to the dry ingredients. Mix well with a wooden spoon. Add the lightly beaten egg yolks and the vanilla essence (if using). Mix until everything is evenly incorporated. Lastly add the drained sultanas. Add a bit of grappa that the sultanas have been soaking in if the mixture appears too dry. Shape them into lozenges about 7 cm long and 4 cm wide. Place on a lined baking tray with some space between them to allow for them to spread whilst they are cooking. Bake for 20 – 25 minutes or until they are golden. Allow to cool on a wire rack before eating. You can sprinkle on some icing sugar if you like though I prefer them plain. Zaleti have a rather crumbly texture though will have a bit of a crunch if you cook them longer. They store well in a sealed tin for around four days. You can vary them slightly by adding pine nuts. You can also use coarse polenta, though they turn out with more of a grainy texture. Ah…. bella Venezia…. I will see you soon! I made the bussola or buranelli for a wedding anniversary present just last weekend. They are delicious with some Vin Santo as we found out in Venice two years ago! Do you have your own bussola recipe to share? I am going to try the zaleti recipe this weekend. Have a great trip. Thanks for your comment! No I have never made bussola so have no recipe to share – it might be next on my to do list. Enjoy the zaleti – they are so easy to make, I would make them all the time if I could stop eating them – a bit dangerous to have them in the pantry! Leaving for the airport shortly..can’t wait! The smell of Zaleti is wafting through my kitchen, just about to enjoy them with a mocha. Thank your for sharing your Italian experiences, we have the same passion for Italian food and travel and love reading your blog. I like a coarse cornmeal for cookies because I love crispy crunchy cookies. Your zaletti recipe says to use a “fine” cornmeal… how crunchy are your zaletti? Do you think they’d be good or bad with a medium-coarse ground cornmeal? Thanks!